The POST Program offers tailored clinical training fellowships in mental health for individual psychiatrists, nurses and allied health professionals from the Asia-Pacific region. Based in Melbourne, Australia, the POST Program offers a unique opportunity for mental health professionals to experience and take advantage of the active development of community care in Victoria. 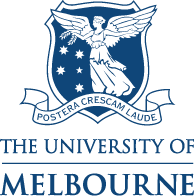 The program is run by the International Unit, St. Vincent’s Mental Health, in collaboration with The University of Melbourne, NorthWestern Mental Health and other Area Mental Health Services. develop individual and institutional capacity for further education and training.